Bevolo Gas and Electric Lights began in the French Quarter in 1945 when Andrew Bevolo, Sr. revolutionized the production of gas lamps. Utilizing a hand riveting technique rather than making brittle soldered joints, he created sustainable gas lights. Bevolo Sr. honed his skills while working for historic manufacturing companies including Ford, Sikorsky and Higgins. His master craftsmanship and artistic style paired up with the tales of renowned architect A. Hays Town to create what would become known as the French Quarter Lamp. Try taking a step through the old French Quarter without catching a glimpse of this now iconic copper lamp, and you'll soon find that it simply can't be done. Proudly serving the Greater New Orleans area since 1997. Our goal is to provide you with a great experience by offering excellent customer service, intuitive design solutions and quality products that suit you and your family’s lifestyle, needs and budget. 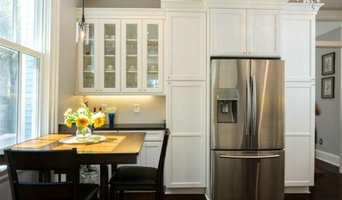 We specialize in creating beautiful and functional spaces to fit the needs and lifestyles of our clients. 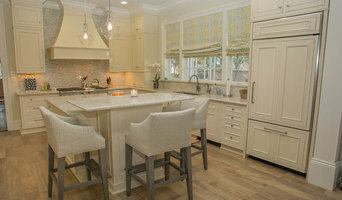 We offer an excellent selection of quality cabinetry, countertops, tile & decorative hardware at competitive prices. Whether you are building a new home or remodeling an existing home we are confident we'll have the right products to suit your personal style and budget. Call to discuss your project! Villa Vici is your one-stop design resource for furnishing your home inside and out. Established in 1991 by local husband and wife team Vikki Leftwich and Bryan Colwell; coming from the retail fashion world they both decided it was time for a change. Using their knowledge of buying and upscale sense of style, they translated their business finesse into the world of home décor. By definition alone, Villa Vici means to conquer a house... Our philosophy has always remained constant; to offer our customers the highest quality furniture, design services and value without compromising style and comfort. Our firm offers full-spectrum design services, from working with architects pre-construction to choosing interior colors, fixtures and furnishings. Give us a call or visit our furniture store in New Orleans on Magazine Street and ask about our interior design services. 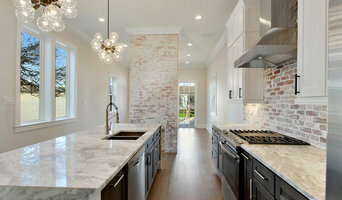 Kelly is an award-winning interior designer who is focused on creating customized and unique one-of-a-kind interior design projects for clients in Old Metairie, Lakeview, Uptown, Lake Vista, and Lake Terrace. She is an expert in marrying the antique charm of New Orleans homes and furnishings with current and on-trend furniture and finishes. Kelly is a customization specialist and all of her projects are called originals as she successfully meets the wants and needs of her clientele. She has years of experience working with busy professionals who do not have the time to devote to the design of their homes, as well as empty-nesters whose home is just not working for them any longer. Her passion is her work and creating functional and unique spaces for her clients. Email or call her today to discuss your profile in more detail! For 25 years I've been selecting paint colors for interiors and exteriors, renovating historic homes, selecting and arranging art and furnishings, staging homes for sale or lease and managing construction projects.....all while pursuing other careers. I guess you can say design is my passion and my employment choices have allowed me to pursue just that! My advertising background taught me the use of space and importance of scale and proportion, hotel ownership taught me about decorating on a budget and my real estate and renovation experience has taught me the nuances of style, décor finishes and creating uncluttered, appealing interiors. My ability to listen and understand each client's individual goals just comes naturally! Whether you want to upgrade, downsize or merely give your home 'new life', I am the right choice. I can simply rearrange existing furniture and art, declutter and select new paint colors or completely renovate your home. For a little lagnaippe, I am a licensed Louisiana realtor so I can help you determine whether your best choice is staying in your home and renovating or moving to a new one. And, if you choose to stay home and renovate, I have a proven list of wonderful contractors, subcontractors and artisans that can help you achieve exactly the look you want. 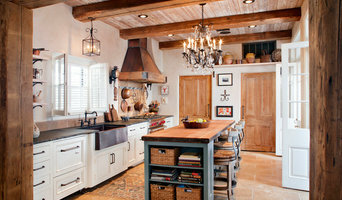 Emily Wright Designs........ we design for the way YOU live!